For over 90 years, DeWalt have been engineering and fabricating innovative solutions for people working within the construction industry. Any tool with the distinctive DeWalt branding is guaranteed to meet and then exceed expectations, offering consistent reliability, performance and strength. Tested extensively and independently under the strictest and most extreme test conditions, DeWalt tools are hard to beat. 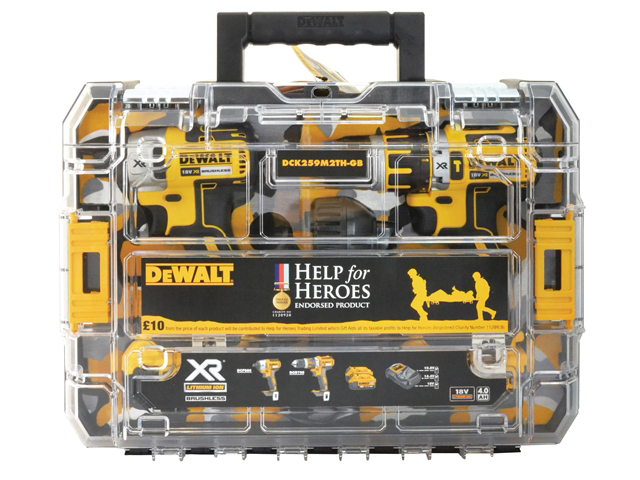 Supplied in a smart, convenient kitbox, the DeWalt brushless Drill and Impact Driver form a unique and powerful partnership. The drill is extremely compact and lightweight, giving it a freedom of motion that allows it to be used in even the most confined areas. Runtime and service life are both significantly increased by the dual-speed all-metal transmission, which delivers improved torque control across a host of drilling and fastening applications. Operator comfort is also improved with an ergonomically designed comfort-grip handle and a bright LED with 20-second release delay on the tool’s trigger increases visibility while chuck shadows can be easily eliminated. 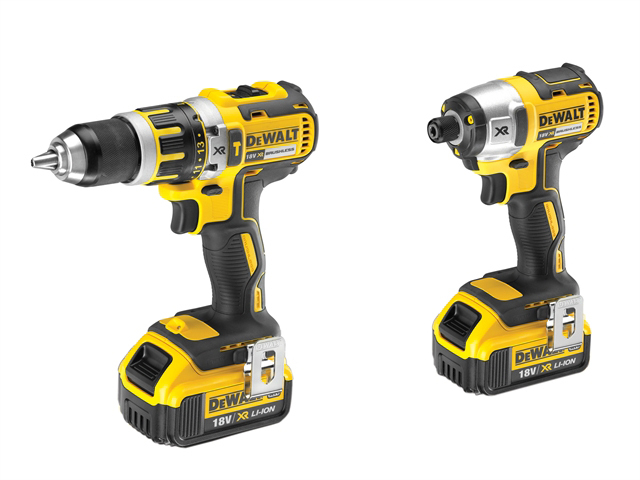 The DeWalt Impact Driver supplied with the kit has a time-saving keyless hex driver to ensure single-handed fitment can take place without obstruction and an innovative foot housing, formed from aluminium, delivers dramatically increased heat dispersal, increasing the life of the tool’s motor. Three bright LEDs form a halo of light to illuminate the working area and vibrations, which cause user fatigue, are limited by a rubber over-mould. If you would like to be in with a chance of winning this prize, which is worth an amazing £399, then first you need to find North West Timber Treatments on Facebook before liking and sharing our competition status. Then, head back to our website and subscribe to our exciting newsletter and that’s it - you’re now successfully entered into the draw! The closing date for entries is Monday 17th November and the lucky winner will be announced before 5pm on the following Wednesday 19th November. Want to know more about the power tools supplied by NWTT Timber Merchants? Look out for an article coming in your newsletter soon about our special Real Deals for Xmas. You can also contact our customer service team directly on 01942 720777 or by email sales@nwtt.co.uk.